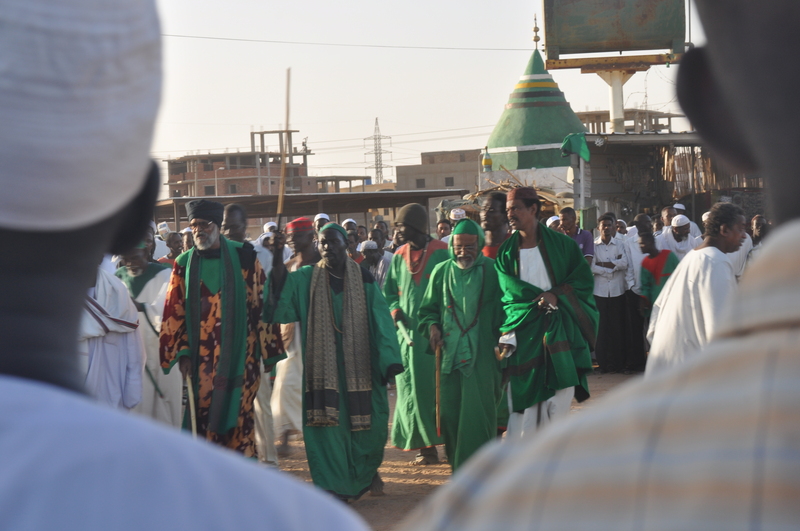 Any tour of Sudan should have going to Omdurman on a Friday night on its to-do list, where every week hundreds gather at Hamed al-Nil Tomb to witness the dervishes. We arrived at 5pm, when the crowds were scarce. In front of the mosque was a huge cleared area, littered on the sides with tea stalls and trinket shops. 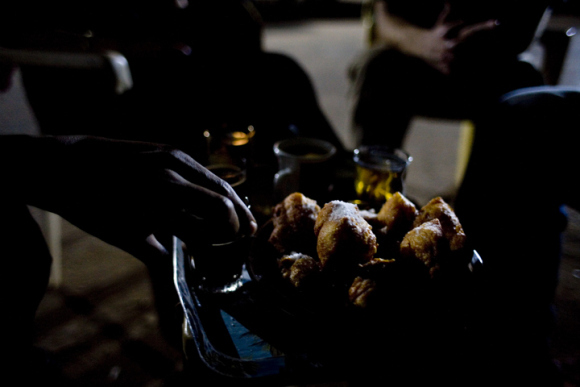 With the festivities not starting for a few hours, we sat down amongst locals and imbibed on Sudanese tea (which is incredibly sweet) and these amazing home-made donut balls that were made on the spot. 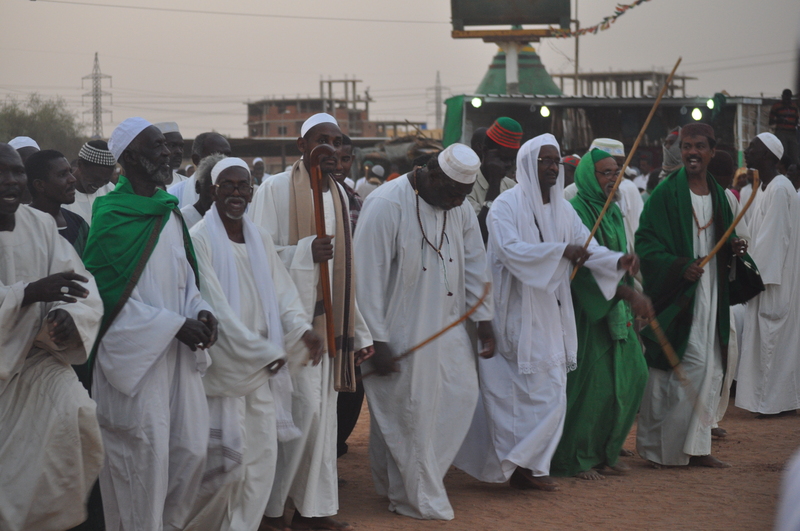 Around 6pm, a group of men, cloaked in green and white, strode in carrying the green banner of the tariqa (the Qadiriyah order in Sufism) to the mosque steps. 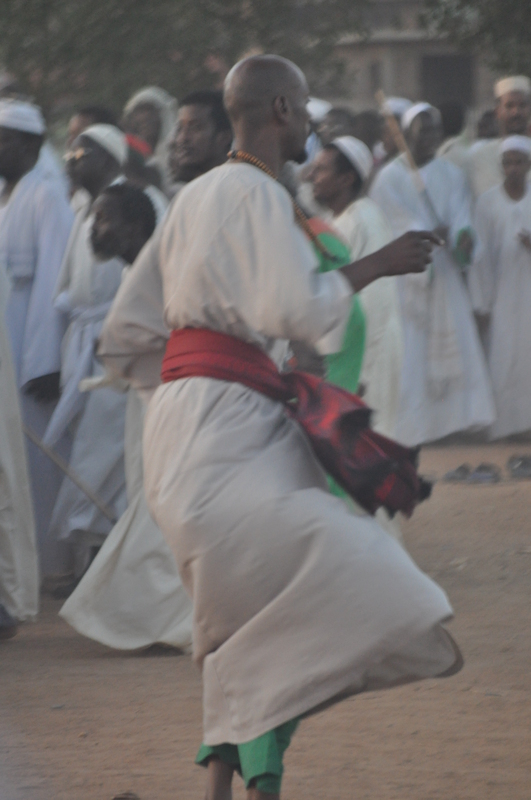 Turning to the quickly growing crowd, they begin to march in a wide arc, chanting alongside drums and music. And with the banner raised and the large open space cleared, the ritual began! The idea of a “whirling dervish” is a bit misplaced. A handful do spin, but the majority clap and chant and dance. And as the evening goes on, the sounds pick up in volume and speed. 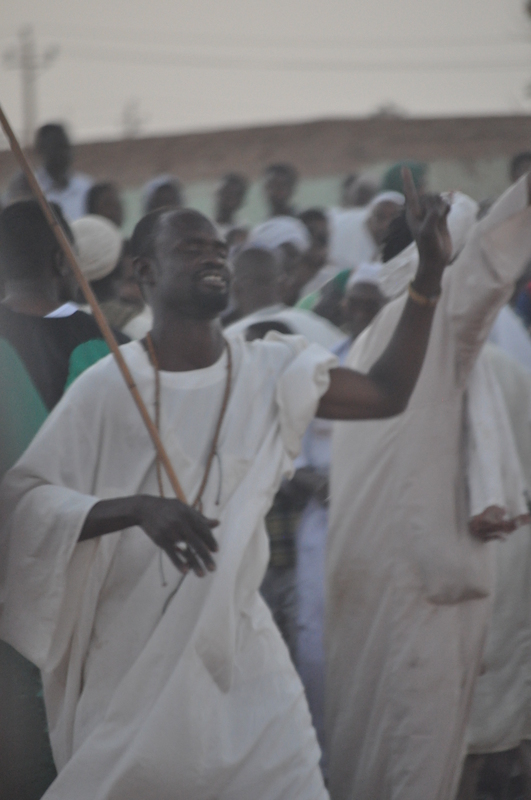 Incense and smoke fill the air completely, and the continuous chanting heightens–“La illaha illallah,” which translates to “There is no God but Allah.” And as the fervor peaks, more adherents step into the circle to spin and dance. 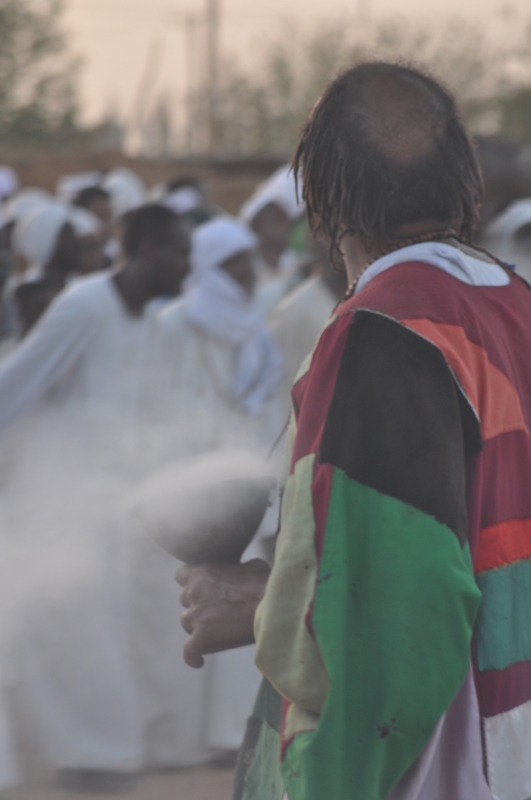 It’s a hypnotic experience, a rare glimpse into an active religious community so different from anything else we’ve seen. 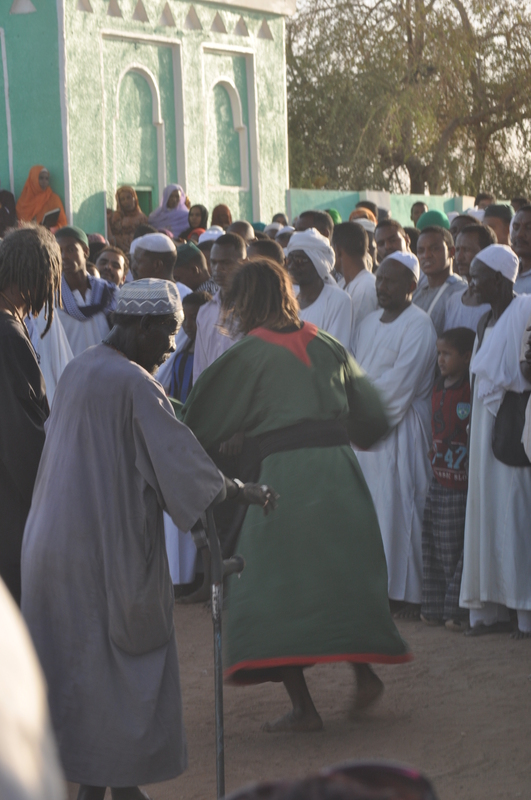 And despite sometimes feeling like I’ve stumbled upon a very private and reverent ritual, the locals could not have been more welcoming to tourists, as long as the respect was mutual.